50% of donations to Hillary Clinton’s campaign come from Jewish contributors, according to a new study. 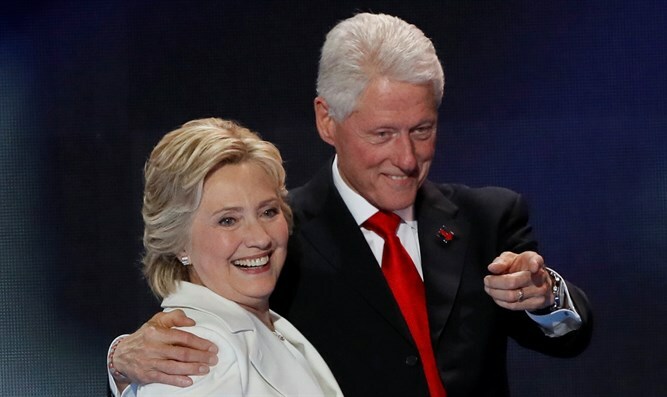 A new report presented by Gil Troy of Mcgill University in Canada, shows that 50% of donations to Secretary Clinton’s campaign come from Jewish contributors. The study also found that 25% of donations to the Republican Party also come from Jewish donors. In an interview with the Jerusalem Post, Troy stated that this is why presidential campaigns are aimed at Jews even though they only make up 2% of American voters. Professor Troy also stated that the electorate system is preferential towards states that have large Jewish populations like Florida, Ohio, Pennsylvania and Michigan. In those states, there isn’t a clear winner for either candidate but they have large Jewish electorates and the Jewish voice becomes very meaningful. Troy estimates that 70% of Jews will vote for Hilary in November, which is similar to the percent of Jews that voted for Barack Obama in the last elections. According to Troy, in meetings with Republican officials, Jewish contributors still mostly support the Democratic Party, despite the unwavering pro-Israeli policy of the Republican Party.